Master horror storyteller, Stephen King, has turned a clown into your worst nightmare with his Pennywise character from his bestseller, “IT.” The Pennywise costume isn’t for the faint of heart. He’s actually a monster clown who loves to scare children. 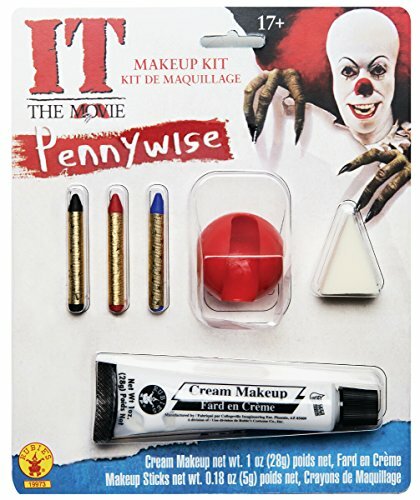 You can really get into the part of Pennywise by selecting from the various styles of scary masks and clothing. One style features a one-piece jumpsuit that zips in the back and comes with a sparkling vest, latex mask with hair and a clown collar. At first glance, Pennywise may seem like just another fun-loving, crazy clown, but look closely and you’ll see the monster within. He reads minds and tells you what you fear the most before he attacks. Pennywise is the perfect horrifying Halloween character. 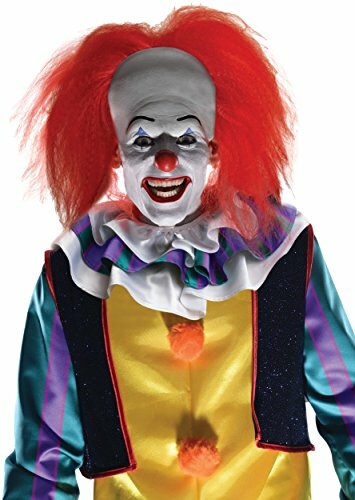 Another deluxe Pennywise costume package comes with a bright yellow jumpsuit and multi-colored sleeves with ruffled collar and orange, pom pom buttons. 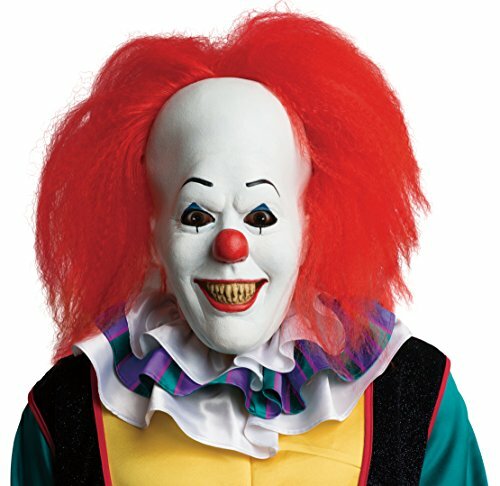 This clown mask shows his horrifying face with slanted eyebrows that give him an evil look and sharp yellowed teeth. Attached red hair completes the crazy clown look. You’ll even get the white gloves for you to wear when you hand out balloons to unsuspecting victims. People are sometimes scared of clowns before they’ve even heard about the terrifying Pennywise. Clown-phobia is actually a condition known as Coulrophobia and no one knows exactly why the condition appears – but many children think clowns are downright creepy and are afraid of them. 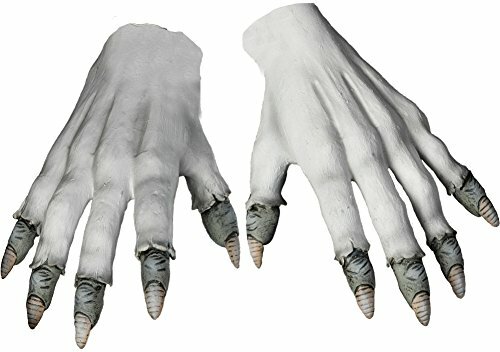 While you’re online looking at scary clown costumes, check out the clown accessories you can get to enhance any clown costume. 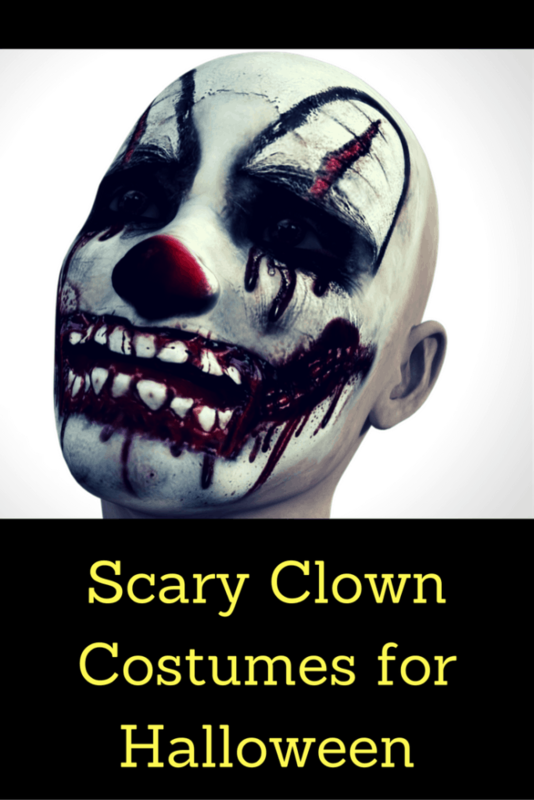 There are wigs, latex masks in all types of scary expressions and even oversized clown shoes. If you’re thinking of dressing up as a ghost or zombie for Halloween night or a costume party, think about being a clown instead. You can be the scariest of all monsters and scare everyone by passing out balloons and using Pennywise catch phrases such as “Want a balloon?” and “You’ll float too!” in your creepiest Pennywise voice. You’ll definitely make a lasting impression on Halloween night or at any monster theme party by becoming the clown that no one laughs at. You’ll hear lots of squeals and cries of pure terror. Search online to find the best and scariest Pennywise costume available and rev up the creep-factor in your neighborhood. There’s a huge selection of costumes available now based on your favorite characters.